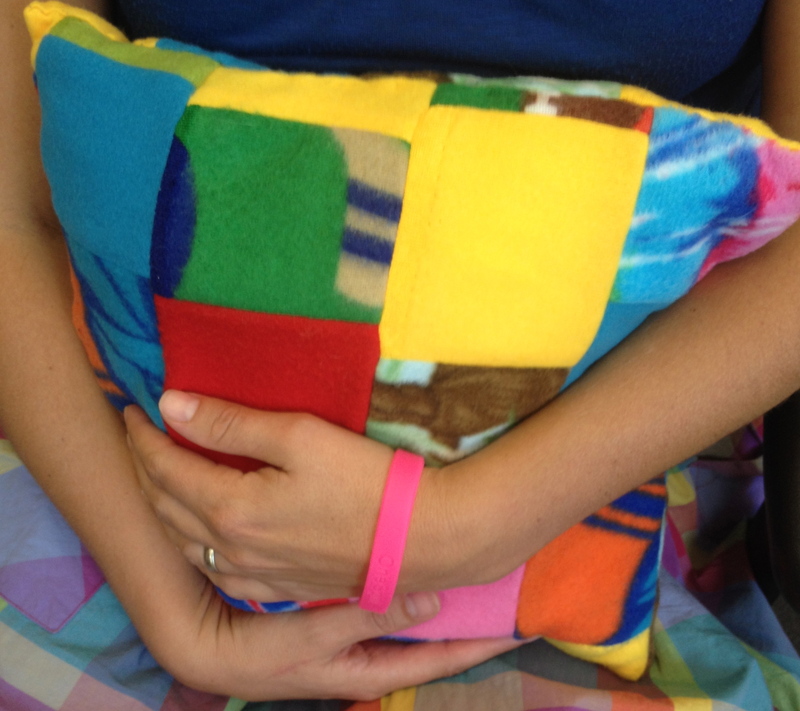 This pillow was made by several youth mentor pairs at Bethel College Mennonite Church. They gave it to me as a going away present. They said I could hug it when I was feeling lonely, punch it when I’m feeling angry, and cry into it when I’m feeling sad. Everyone needs a soft pillow to cry into. One time I received an email from a woman on a Monday morning. She said that she was feeling particularly fragile the Sunday before and when the offering plate went by, she was sure one of her tear drops fell in right on top of the check that she had placed. She decided that was ok even if it smeared her check. That is because she believed God wants us to offer our whole selves in worship—smiles tears, all. Amen to that.